Not a great deal of time so I will keep this brief. A winner with a weight penalty. Plenty of experience with five runs under his belt. Disappointed at Group class. Looks a pretty tough race. Turgenev ran well on debut and then hosed up the second start. Has to defy a win penalty but looked smart last time out. Four debutantes worthy of note. Light And Dark is interesting. Saeed bin Suroor has done much better this two-year-old season. The other day, I reviewed his debutantes and a number had struggled to win on their racecourse bow. Certainly, some have won but others are benefitting from the run. William Haggas has done well this year and has a nice string of juveniles. Faylaq is priced 15/2. 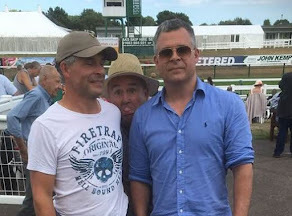 I do like this trainer at Newmarket because, in general, it is a course he sends his better prospects and they can prevail at bigger prices. Similarly, John Gosden can hit the ground running. Franz Kafka is a bigger price. Would hold brighter claims if backed. Then Truly Adored, who was meant to run recently, but pulled out when found to be lame. I would take a watching brief. A race that may yield future winners. Won by a shadow on debut but struggled under the win penalty next time out. Needs to come back to life.